Medical malpractice is something that nobody wants to be involved with. It can be costly and time-consuming, but is ultimately necessary to get the restitution you need and deserve. Still, before proceeding with the suit, it's important to have an understanding of the four key elements of medical malpractice, so that you know what needs to be successfully proven to win the case. This is the most simple peace of the puzzle. The doctor needs to have owed you a duty as your doctor. Any scenario with a doctor-patient relationship can qualify to meet this standard, whether it's a primary care doctor or a neurosurgeon. This can be applied to almost any healthcare worker assigned to your case, however. Following off of the first point, the duty that was owed to you as a patient needs to have been breached in some way to have a successful malpractice lawsuit. Generally, to prove this, it must be shown that the healthcare worker failed to provide adequate care, and that the degree of care was less than could be expected from another healthcare worker. Often, medical expert witness services are used to prove that the duty has been breached. If the malpractice case is to have any merit, you also need to have suffered some sort of injury for which restitution is needed. This injury can be either a physical one, a mental one, or even an emotional one. The injury has to have occurred while under the healthcare practitioner’s care. Otherwise, it's likely irrelevant to the case. Lastly, everything needs to be linked together, as you must prove that the aforementioned breach of duty is what caused your injury. This can often be tricky and complicated, but the entire case will rest on your ability to prove this, making it critical that it is done. Without properly proving this, the case will likely be unsuccessful. 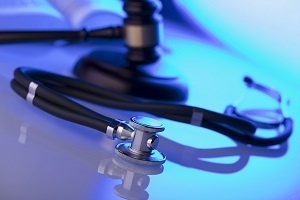 Medical malpractice lawsuits are often the most complicated lawsuits around. As such, a great deal of care and preparation needs to be taken before proceeding. With the right combination of counsel, and an expert medical witness, restitution can be achieved, allowing you to move on with your life.